Our research focuses on the diagnosis, pathogenesis, and treatment of human adrenal disorders and tumors. These research initiatives are closely tied to our clinical efforts in the BWH Center for Adrenal Disorders. We conduct human physiology studies to gain insights into adrenal hormone biology, and in parallel perform longitudinal cohort and intervention studies to understand the health implications of these findings. 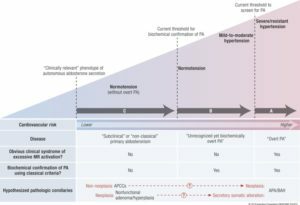 2018 Update: Our comprehensive and contemporary review on Primary Aldosteronism was published in Endocrine Reviews. 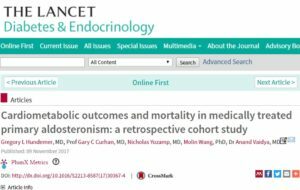 2018 Update: Our cohort studies evaluating the efficacy of currently recommended treatments for primary aldosteronism were published in The Lancet Diabetes & Endocrinology, JAMA Cardiology, and Hypertension. 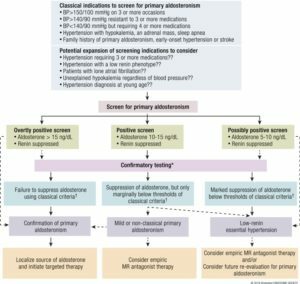 2017 Update: A review article on Aging and Aldosterone Production published in collaboration with the Rainey Lab at the University of Michigan. 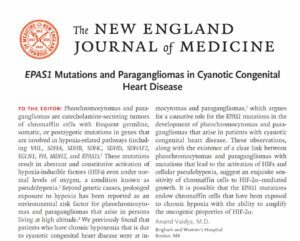 2017 Update: Dr. Vaidya discusses the lab's new research on Subclinical Primary Aldosteronism published in Annals of Internal Medicine. 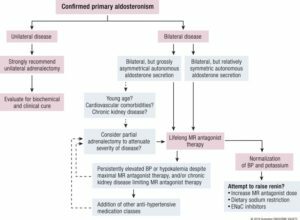 2017 Update: The Vaidya Lab publishes new studies on primary aldosteronism pathophysiology and treatment in Annals of Internal Medicine and The Lancet Diabetes & Endocrinology. 2016 Update: Dr. Vaidya discusses the lab's new research on "non-functional" adrenal tumors published in Annals of Internal Medicine.